After visiting Ireland in February, I came back with a sketchbook and camera full of images. For ages, I’ve been wanting to make a book with all this inspiration, so when the opportunity to partner with Blurb came up, I was thrilled to make my travel journal idea a reality. I’m a big fan of Blurb’s products that allow people to unleash their creativity through custom printed photo books , magazines , notebooks and more. 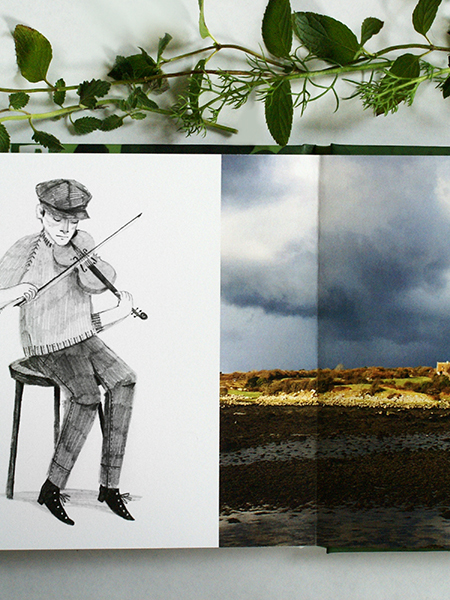 I knew Blurb’s photo books would be the perfect format for my Irish travel journal, A Green Island. To get inspired, I spent time browsing the Blurb Bookstore , looking at other travel books. There’s so many great examples in the Blurb Bookstore (and it definitely further fueled my wanderlust — Iceland, I’m looking at you). From there, I gathered images from my sketchbook, photographs I took abroad and artwork I’ve been creating this year inspired by Ireland. While Blurb offers a great free desktop publishing platform, BookWright, I decided I wanted a totally hands-on design process. For that reason, I chose to use the Blurb Adobe InDesign Plug-In . I love that the the plug-in takes all of the guess work out of the design process, but gives me the freedom to design the book exactly like I want it to look. Basically, the Blurb Adobe InDesign Plug-In offers complete creativity, no hassle and I’m a big fan of it. For format, I decided to create a Layflat Photo Book (the Small Square 7x7”). I love how beautifully the Layflat Photo Book allows images to shine, without the gutter (the middle of the book) eating up an image. And I felt like my illustrations reproduced really well on the Standard Layflat paper, which has this wonderful heft, too. If you’re curious about paper quality and image reproduction, I’d definitely suggest ordering a Blurb Swatch Kit first (an added bonus, along with your swatch kit order comes a promo code allowing you to apply the cost of the kit toward your own book purchase). 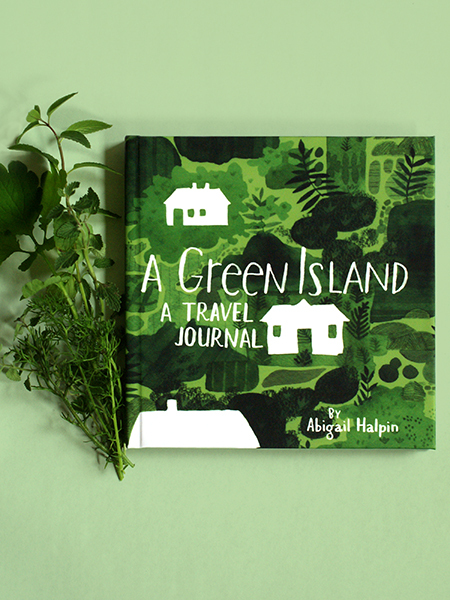 When my copy of A Green Island arrived, I was absolutely thrilled. The colors are vibrant, the print quality terrific and the memories it contains bring me so much joy. I know this book is something I’ll treasure for years, a reminder of one of my very favorite places in the world. And making this book has me wanting to make many more travel journals in the future! All of those photos on my phone from Quebec? The ticket stubs from New York City? I feel like these all need to make their way into a book, someday. So have you ever made a travel journal? A book inspired by your summer vacation? Let me know, I’d love to hear what you created!